Troubles come not as single spies but often as battalions. So when I wrote in August being a quiet month I did not reckon on Tesco, East House and Hadleigh Quarry all coming out of the woodwork to claim our attention. The good work that Babergh’s officers do often goes unnoticed and more often unappreciated. 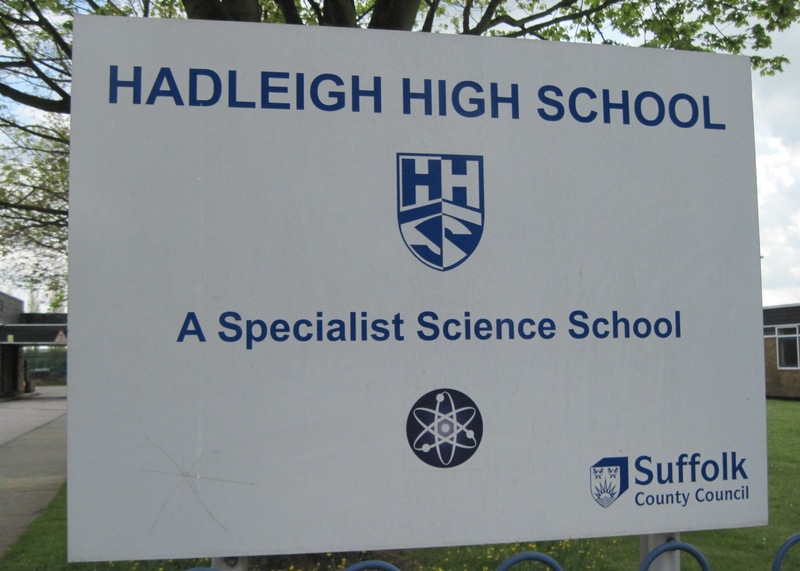 One of the current issues affecting Hadleigh is the High School ignoring the needs of its immediate neighbours in Station Road. It is a saga of mistakes, unintended consequences and an inability to appreciate that being big doesn’t mean you are right. The problem began in 2009 when the school, County and Town Council thought that a Multi Use Games Area (MUGA) was needed in Hadleigh. The site was to measure 60m x 40m and planning permission came with a number of conditions. The suggested site was comfortably some distance away from the Station Road residences and there was no reason why everyone should not have been happy. But then the MUGA was built 20% larger than authorised and placed nearer the houses. The all weather pitches were not sited nearer to the school but close to the boundary fences adjoining the houses. So, what should have remained a quiet residential area with residents being able to enjoy their summer gardens with the distant sound of happy athletes – meant that the residents felt they were imprisoned in their homes as balls bounced off of the fences and the “athletic” language ranged from the impolite to the downright offensive. The school says it doesn’t have the money to put things right – as if that is a good reason for continuing to inflict mistakes on other people. Babergh officials on the other hand served a Noise Abatement Notice on the school in response to noise from the balls hitting the fence around the MUGA. The Planning Enforcement Officer has also intervened because there is unauthorised lighting. What’s a reasonable way forward? First use the pitches furthest from the houses before you use the ones closest to the houses. Remind players that they are not Premier Division and so do not need to emulate the bad habits that they see and read about. Switch off the lights in accordance with the planning approvals and finally use the normal pitches during the summer months. Otherwise the authority to use the MUGA 365 days a year until 10 p.m. Mondays to Friday and until 9 p.m. on Saturdays has to be revised and past errors need to be corrected. The purpose of Government and its agents is to serve the public – not to serve some at the expense of others.